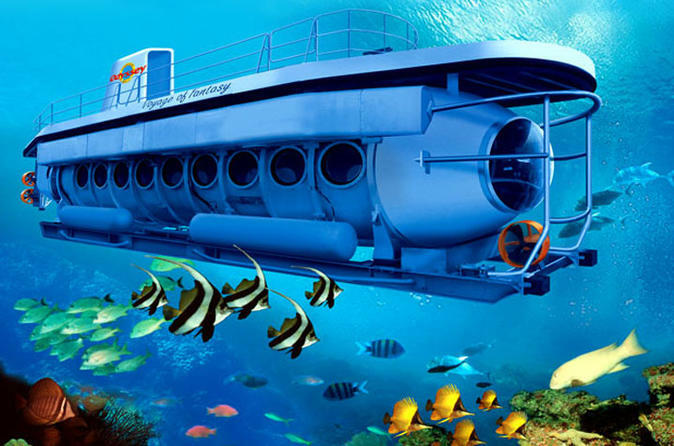 Make your unforgettable day with the only one submarine excursion in Bali. This undersea excursion craft can carry 36 passengers in air-conditioned comfort to depths as great as 150 feet. You will be able to look out and see the fantasy of rarely visited reefs and wide variety colored marine creatures in our famous Bali dive site. Bali Submarine is an Odyssey Submarine constructed using the latest advanced technology, which accommodates 36 passengers with 2 pilots. This is one of the two Odyssey Submarine in the world which will take you 70ft deep under the sea. In 45 minutes you can explore the deep ocean rim with marine life and colorful reefs. We will Depart from Amuk Bay and transfer into the submarine. Firstly, we will have your picture taken on the submarine deck. Even if you are not a scuba diver, You can still enjoy the beauty of coral reef, fish, and the fish feeding attraction for about 45 minutes. After this exciting underwater adventure, you will be transferred back to the surface and ride transfer boat to Wantilan to enjoy your lunch. Free hotel pickup and drop-off are included in this tour.